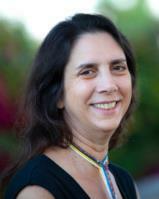 Directory > Providers > Alternative Medicine > Acupuncturist > CA > Escondido > Karen Hershman, L.Ac. Every individual is unique, that is why I take a very personalized approach to create a plan of healing to help you achieve optimum health and spiritual well-being. I use acupuncture, Chinese herbal medicine, gua sha, cupping, auricular medicine and shamanic therapies to help my patents feel more balanced. Services Karen Hershman, L.Ac. is an Acupuncturist or Acupuncture office in Escondido, CA. Call Escondido Healing Center at (760) 644-4228 for a detailed description of the services offered. Acupuncturist like Karen Hershman, L.Ac. offer services that often include facial renewal acupuncture, cupping, moxibustion, Gua Sha, Zen Shiatsu, Chinese herbal formula, herbal medicine, smoking cessation and Traditional Chinese Medicine (TCM). Talk to the staff at Escondido Healing Center for information about your acupuncture needs in Escondido, CA. I can never relax, but I relaxed during the first treatment! She's helped me with headaches, my endometriosis pain, and stress. I had to stop when I moved, but am back and will be visiting her again.